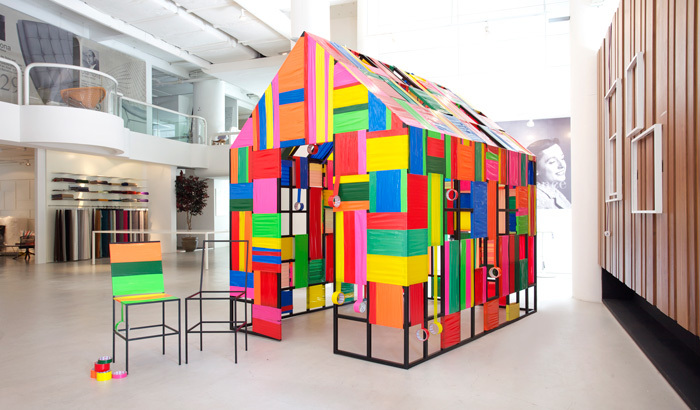 Make your own home with some adhesive tapes! 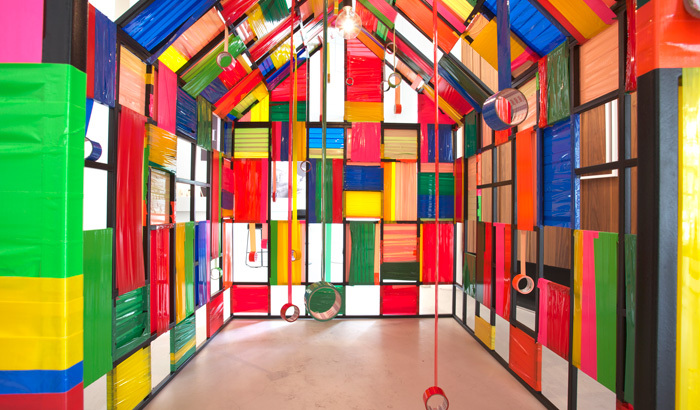 The DIY House is a structure which utilizes the adhesive quality of adhesive tape. The resultant was a self-standing shelter; a structure basically produced out of a framework clad in adhesive tape. By utilising an accessible and versatile material, the idea was to reach out to the audience, easily enabling them to appreciate and relate to the properties of a ubiquitous and simple household product. This project demonstrated that the form of the metal, together with the combined strength of tape creates a synergy effect, allowing the house to retain its balance without toppling over. By pairing a DIY mentality with the qualities found in common hardware products, the house aims to inspire just about anyone to create his/her own architecture in a playful manner.